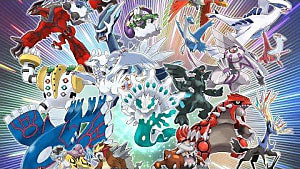 If you have completed the main story in Pokemon Sun and Moon and want a challenge, or just like competitive battling, there are options other than online. 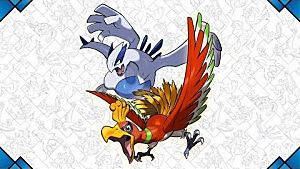 Battle Royal and the Battle Tree lets you fight against in-game opponents, using competitive rules. If you have already tried this, chances are you found out how hard the fights can be. The A.I. is ruthless and sometimes does things that don't seem possible. I am here to give you an edge that will hopefully gain you more victories in both of these game modes. Battle Royal and Battle Tree Info - What these game modes are, and how to access them. 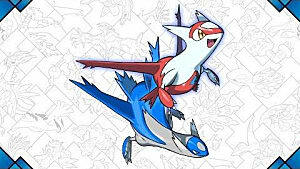 Battle Royal and Battle Tree Tips - Tips on Pokemon and moves to sue in these game modes. 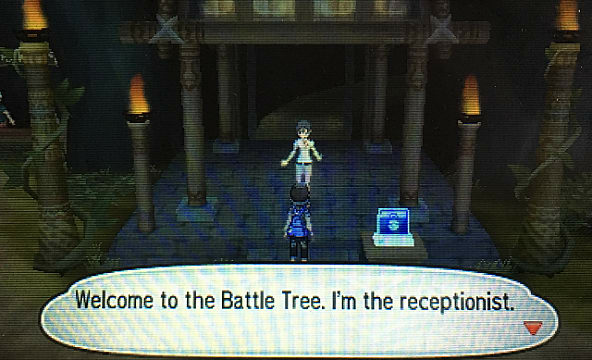 The Battle Royal is located at the Battle Royal Dome in Royal Avenue on Akala Island. It is a free-for-all game mode that has 4 trainers fighting at the same time. 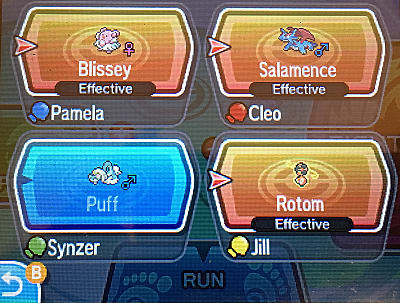 Each trainer picks 3 Pokemon, and fights with 1 at a time. You get a point whenever you knockout an opponent, and for how many Pokemon you have remaining at the end of battle. Battle ends when 1 trainer's Pokemon all faint. All your Pokemon get set to level 50 if they are above, but not if they are below. You also cannot use the same Pokemon or items more than once, and certain special Pokemon are banned. There are 4 ranks: Normal, Super, Hyper, and Master. 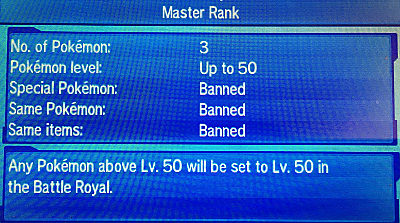 Winning a Master Rank gets you 5 BP to spend on items from the Battle Royal or Battle Tree vendors. 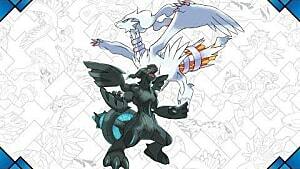 The Battle Tree unlocks after becoming champion of the Elite 4 and is located at the northern edge of Poni Island. You have to go through the Poni Gauntlet to get there, but you will be able to fly once you discover the area. 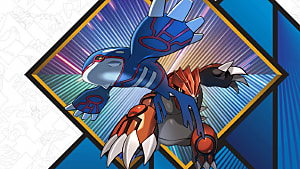 There are 3 formats at the battle tree: Single, Double, and Multi. Single is a 3v3 battle where you use 1 Pokemon at a time. Double is a 4v4 battle where you use 2 Pokemon at a time. Multi has the same rules as Double, except teams of 2 trainers fight each other. Each trainer chooses 2 total Pokemon, and sends 1 out in battle at a time. You can also choose to fight with a real-life trainer, but only locally. Each victory gets gets you 1 BP, and a streak of 20 unlocks the Super mode of whatever format you are in. The battle royal is a very different type of battling format, so there are some tricks you can use to give you an advantage. Part of the challenge is just not losing Pokemon. Since you get points for how many Pokemon you have left, protecting as many as you can is your goal. These are moves like Surf, Hyper Voice, and Explosion. Being able to deal a lot of damage to multiple opponents can allow you to knockout multiples at once, giving you 2 or 3 points at a time. These are moves like Sucker Punch, Quick Attack, and Aqua Jet. These are great because they allow you to attack first and finish off opponents that might get defeated before you can attack. You will run into all kinds of Pokemon, so you want to be able to use moves and Pokemon that are strong against a variety of type. 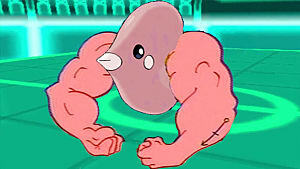 This also includes having Pokemon that do physical and special damage, or have strong physical or special defense. Poisoning with Toxic can take a Pokemon down, even if they have good defenses. 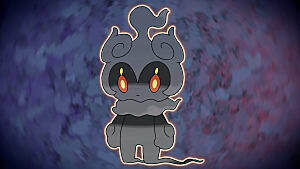 Burns lower attack and deal continuous damage to strong physical attackers. Priority moves can take out Pokemon before they have a chance to attack. That's all for my tips at winning at Battle Royal and Battle Tree in Pokemon Sun and Moon. Remember, sometimes you just get bad luck and computer feels likes it is cheating. This is not a foolproof way to win, but keeping these tips in mind when building teams will greatly increase your chances at winning. Let me know if you have any questions or tips of your own!